The above is so cool. 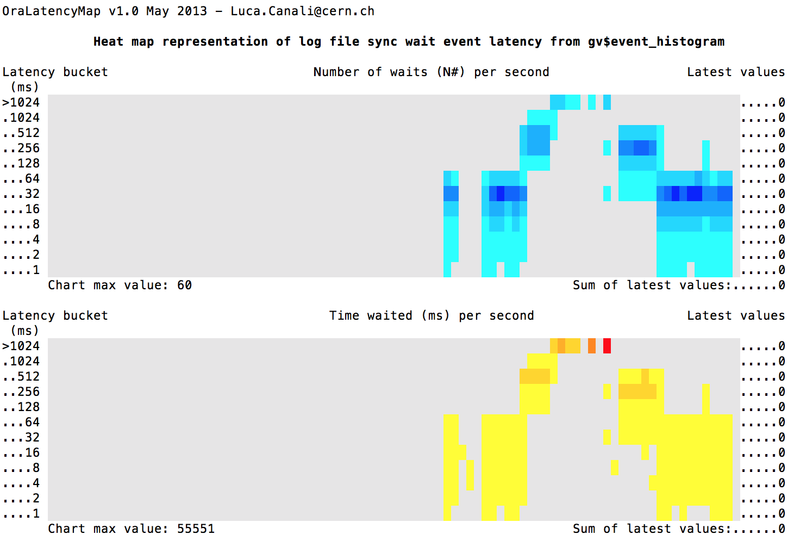 The graphic shows the latency heatmap of “log file sync” on Oracle displayed in SQL*Plus! SQL*Plus ?! 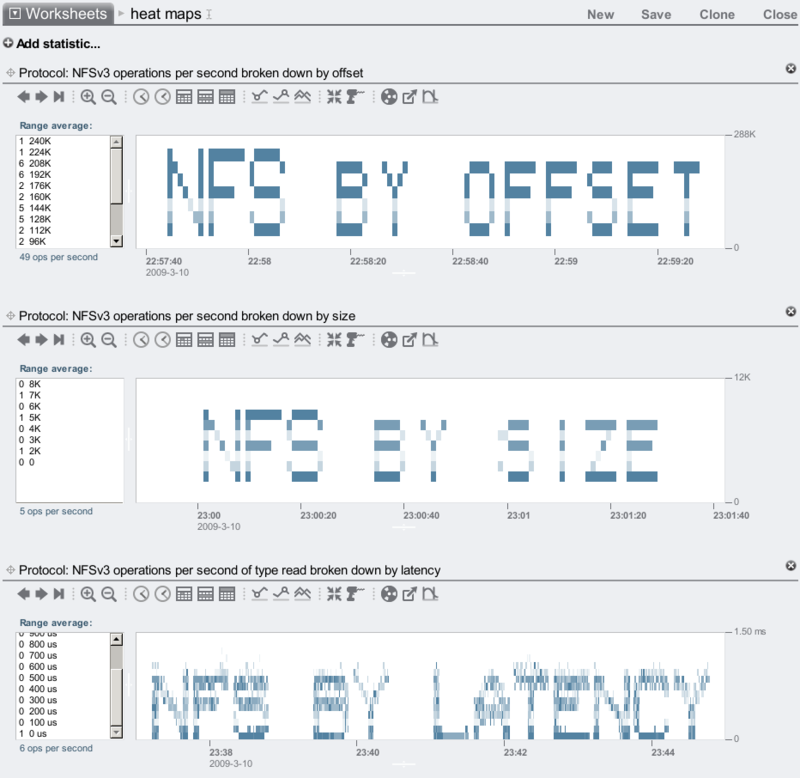 Yes, the age old text interface to Oracle showing colored graphics. @OraLatencyMap_event 3 "log file sync"
The above words in latency heat maps are from http://dtrace.org/blogs/brendan/2009/03/17/heat-map-analytics/ where there is information on heat maps. In the graphic at the top of the page I put lgwr in an I/O write throttle group and played with the I/O throttle. I was running a swingbench load and at the same as throttling I/O such that latencies started off good then got worse and then back to normal. # my device  major and minor numbers are "253, 2"
# create a write throtte on this device (for read just replace "write" with "read"